Marrying form and function, essential oil diffuser necklaces are wonderful for providing on-the-spot therapeutic relief in a gorgeously designed amulet. Aromatherapy – Essential oils have been used for thousands of years to naturally soothe the body, mind, and soul. Derived from the roots, flowers, bark, fruits, seeds, and leaves of plants, botanical oils consist of concentrated aromatic compounds that, when inhaled, stimulate the brain for immediate relief. It is a safe and effective therapy with so very many applications. Relief on the go – Portability is one of diffuser jewelry’s greatest features – use it as a stopgap when out and about to soothe anxiety, instantly relieve pain, quell a sore throat, ease stress, calm your allergies, keep your hormones in balance, give your brain a boost, or even to help curb cravings to lose weight. Smell heavenly – It’s no secret that essential oils emit a lovely scent. Pick a favorite or experiment with mixing your own blends. You will smell amazing, and without exposing yourself to any of the toxic chemicals found in traditional perfumes and cologne. It’s thrifty – Because EOs are absorbed quickly when applied to the skin, dabbing your wrists before you head out won’t keep the smell going for very long. A diffuser necklace, however, needs only a drop or less each day to maintain the aroma – ensuring the bottle lasts a whole lot longer, especially if you like the expensive stuff. So without further ado, we’ve rounded up some of our top picks in diffuser necklaces that are bold, beautiful, and practical. Depicting a cut out of a majestic tree, this stainless steel locket style essential oil necklace includes eleven cotton rounds in several colors to provide a nice backdrop for the tree. To use, open the magnetic enclosure and place a drop of oil on the pad. Get more information and see the price of the Tree of Life Locket here. Because terra cotta readily absorbs oils and distributes the scent slowly over time, it makes for an excellent essential oil necklace material. This hand crafted pendant is painted in sea foam green with intricate flourishes on the front, while the back is unglazed so you can add your favorite essential oil. To use, apply a drop of oil to the back of the pendant and give it about one minute to completely absorb before putting it on. The provided wax cotton cord is fully adjustable so you can wear it long or short. Get more information and see the price of the Terra Cotta Pendant here. Made from cooled down volcanic rock, lava beads have a porous and pitted surface that is perfect for the slow and even diffusion of essential oils. This necklace is a simple and elegant design, with a stainless steel chain that features five black lava stones, balanced by size. Get more information and see the price of the Lava Beads Necklace here. Proffering up a unique take on an essential oil necklace, this one is hand crafted in twisted white K plated copper formed into a see-through locket. Remove the chain to open up the locket and place inside one of six round lava stones, colored in white, black, yellow, purple, light blue, and dark blue. Get more information and see the price of the Twisted Lava Bead Locket here. A minimalist design that features a triangle shaped lava rock, this essential oil necklace is certainly versatile enough to look equally fantastic with your casual, professional, and evening wardrobes. Get more information and see the price of the Triangle Lava Rock Pendant here. Engraved with the inspirational “Be Still” message on a flat stainless steel plate, this diffuser necklace has a magnetic enclosure that contains the scent pad. The 16 inch chain also comes with a 4 inch extender if you prefer your necklaces on the longer side. Get more information and see the price of the “Be Still” Locket here. An ornate filigree design, this diffuser locket is available in silver, antique bronze, and antique silver finishes. The snap enclosure holds the scent pads in place. Worn extra long, the alloy chain spans 30 inches. Get more information and see the price of the Filigree Locket here. Available in all 26 letters of the alphabet, this magnetic stainless steel locket comes with eleven scent pads in different hues so you can mix and match colors depending on your mood. Get more information and see the price of the Monogram Pendant here. Because your children might need some aromatherapy on the go too, these locket diffusers are available in several kid friendly designs, spanning the Batman signal, dolphins, horses, owls, paw prints, soccer balls, elephants, and kitty cats. Choose a Kids Locket here. A more gender neutral locket design, the Celtic cross locket is manly enough for guys to get their aromatherapy fix as well. Fashioned out of pewter, it comes on an adjustable black waxed cord. Get more information and see the price of the Celtic Cross Locket here. For crafty types, DIYing an aromatherapy necklace is fun, economical, and allows you to play around with different shapes and styles. Clay Bead Necklace – Using oven-bake polymer clay (which is available in a rainbow of colors), sculpt the clay into round beads or a tear drop shape, and use a toothpick to make holes for the necklace cord. Once hardened, string them up and add your essential oil. Clay Pendant Necklace – Favoring air dry clay, this DIY shows how to make a round pendant which you can personalize with stamps or other designs molded into the surface. Locket Style Necklace – As frugal as it gets, this locket diffuser can be made for less than $1 each. You’ll need spiral cage pendants, a necklace chain, and your choice of lava beads or wool balls. For your aromatherapy necklace, you simply need a drop or two of essential oil – but it’s imperative you choose a high quality, 100% pure essential oil that’s free of additives and adulterants. It’s also wise to have a variety of different oils to try throughout the day. In the morning it might be wise to choose an uplifting oil or blend of oils while in the evening it might be a better idea to choose an oil with relaxing or calming properties. Our go-to suppliers of high quality essential oils is Plant Therapy Essential Oils. Their oils are 100% pure, affordable and they offer free shipping within the US and free returns for up to 90 days after purchase if you aren’t completely satisfied. 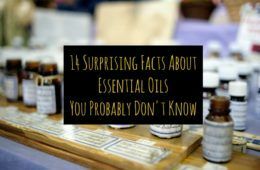 Browse their selection of pure essential oils here and choose which you’d like to add to your collection. You may also like to take a look at their Synergy Essential Oils which are ready-made blends of essential oils that work together to create an effect that is more potent than the individual oils. These Synergy Blends are ideal for aromatherapy necklaces and some of the most popular include Clarity, Energy and Relax. Browse all Synergy Blends here.